PLUS SIZE POWER: WHAT IS GLAMOUR? Just a little special for Throwback Thursday! 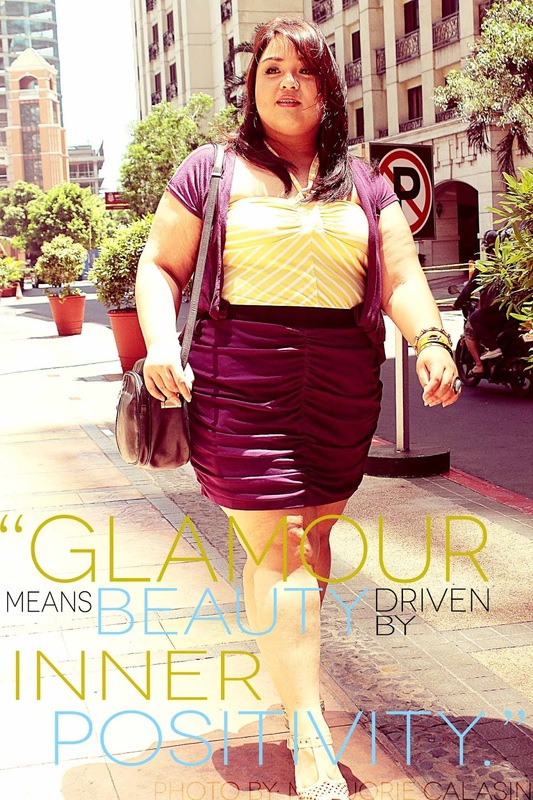 The word "glamour" is tossed around a lot but Erzullie Icon and Plus Size Model, Loren Monares, defines it as "Glamour is beauty driven by inner positivity." Love this throwback from her interview "The Glam Life"! Register now for Erzullie's THE FASHION FEAST SALE (#THEFASHIONFEAST), happening on September 21, 2013 (6-9pm) at DOME, Eastwood City, Quezon city! We are so excited to give you ladies, a variety of fierce plus size fashion for only PHP 300 each to celebrate with our upcoming 3rd year anniversary! And of course, we now present the next item the Style Menu! Main Course #13 Purple-Pink Mullet Skirt! The mullet skirt was a big trend last Resort 2012, but the style has encompassed that season! 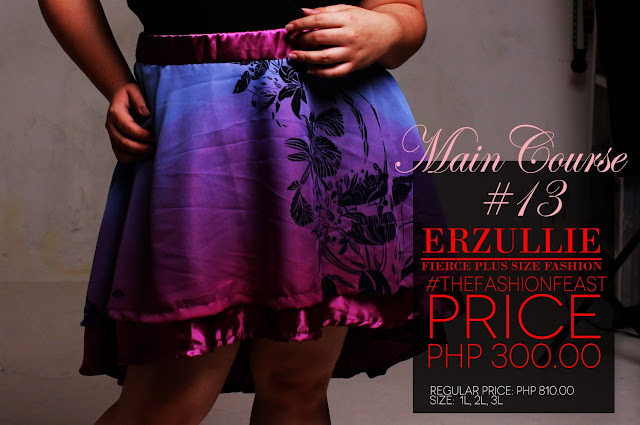 Still a favorite among Erzulliestas, this skirt will take you from your formal events down to the casual get-togethers! Regularly priced at PHP 810.00 pesos, for The Fashion Feast sale event, we are just going to give it at PHP 300.00! So think of that stylish steal and register now, Erzulliestas! We'll see you there! Let's face it, plus size fashion lines are still not that prevalent around major shopping destinations and as a shopping plus size woman, this is hard. So what does an Erzulliesta do? She makes do with the current state of the shopping jungle! Here are some shopping tips on how to shop in a regular size store as a plus size woman. #1 Mindset: there is something stylish for you out there. Nothing starts a good shopping trip than being positive! Knowing that something will fit you out there will direct all of your energies towards finding that does! #2 Size ultimately depends on the style and fabric. Know that just because it is regular, does not mean it has absolutely no chance of fitting a plus! Try it on and see first before you just throw the option all together. One woman can jump from 4L to L in a minute if the fabric is stretchable and the design not that constrictive. In another view, when the fabric and style is more definitive then that is the time when the L ladies may find themselves into better sizes that fit. #3 Be bold to ask for the biggest and then try it on. It is okay to ask for the biggest size ladies. You may be surprised at times that it may even be too big for you! Even more, you may be surprised to know that they have extended sizes or plus size. Some fashion lines do have them it is just that they do not ‘air them out’ for some (stupid) reason. So ask before you go away. P.S. Speaking of shopping, Erzullie is holding a Php 300 sale! Register now for "The Fashion Feast" happening on September 21, 2013, Saturday (6-9pm) at DOME, Eastwood City, Quezon City!